Dals, legume-based curries, are an essential part of every meal in India, It is never served as a soup course in Indian meals (since multiple course menus are not common). I enjoy introducing classic Indian flavors in concepts that are recognizable to the everyday Western home kitchen - dal has often evoked the perception of soup to many of my students and dinner guests and instead of continually educating them to savor it as we Indians do (with rotis-flat breads or over steamed rice), I decided to step out of my box and present it as a soup, flavoured the traditional Indian way, with caramelized onions, chiles, and cumin seeds, a technique often referred to as tarka in the Hindi language. 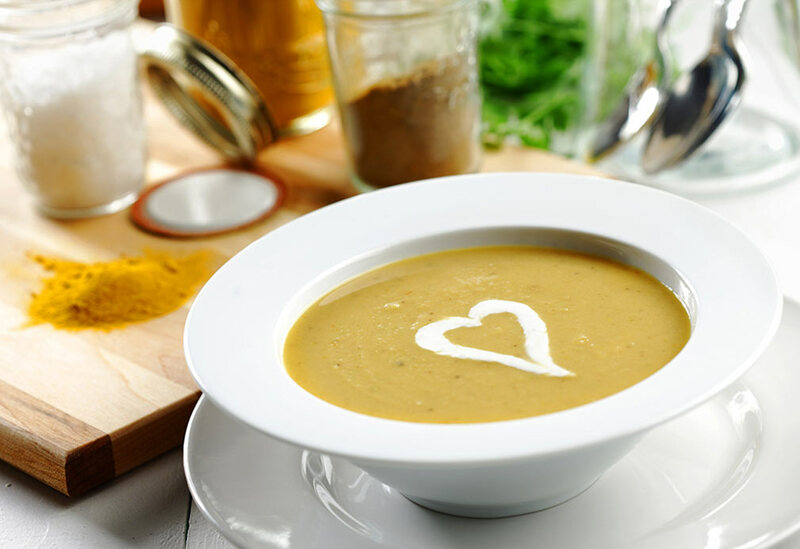 This hearty soup is delicious either hot or cold, making it an ideal introduction to an Indian inspired meal during the cool winter months or the dog days of summer. I often enjoy it with a thick slice of rustic Italian bread for a quick weekday meal all on its own. 1. In a large saucepan, over medium-high heat, bring peas and 4 1/2 cups (1.125L) water to a boil skim and discard any foam that surfaces. Add garlic and ginger; lower heat and simmer covered, stirring occasionally, until peas are tender, 25 to 30 minutes. 2. Meanwhile, in medium skillet, heat canola oil over medium-high heat. Add cumin and allow them to sizzle, turn reddish brown and smell fragrant, 10 to 15 seconds. Add onion and chiles and cook, stirring occasionally, until onion is richly browned, about 5 minutes. 3. Stir in salt, turmeric, tomato, and remaining 1/2 cup (125 mL) water. Scrape the skillet to release any browned bits of onion. Cook uncovered, stirring occasionally, until tomato softens, 3 to 5 minutes. Scrape sauce into saucepan with cooked peas. 4. Continue to simmer peas, covered, stirring occasionally, to allow flavours to blend, about 5 minutes. Let soup cool, 10 to 15 minutes. Transfer to blender and puree until smooth. (If using immersion blender, no need to cool peas before pureeing). Return pureed soup to saucepan and re-warm before serving. 5. Serve with a dollop of crème fraîche and cilantro. Tips: Try plain yogurt instead of crème fraîche if the fat in the crème is of concern to you. If you are lactose intolerant or follow a vegan diet, eliminate it from the recipe. Soy alternatives just don't have the same desirable depth as their dairy counterparts, particularly in this recipe. 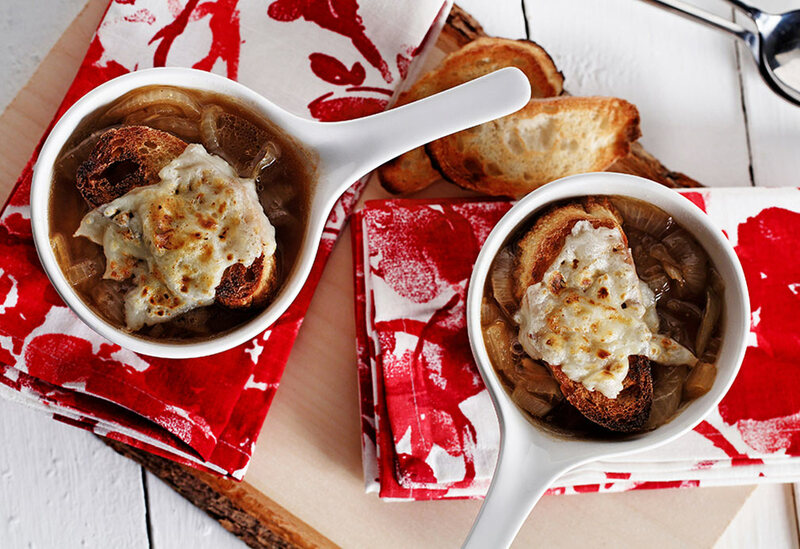 This delicious soup is the essence of comfort food: caramelized onions and garlic topped with toasted bread and melted cheese. Roasting the garlic first as the onions caramelize gives it a head start. Canola oil’s neutral taste won’t interfere with these heady aromatics. 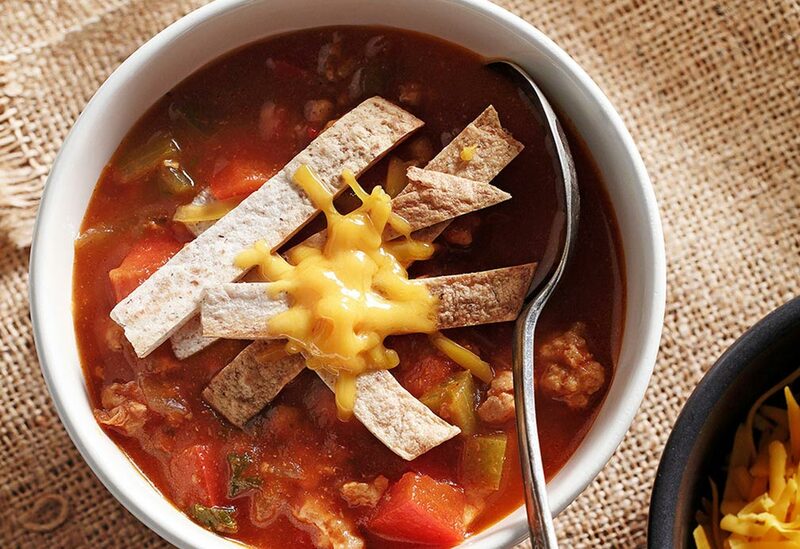 This simple soup will be a hit with kids! 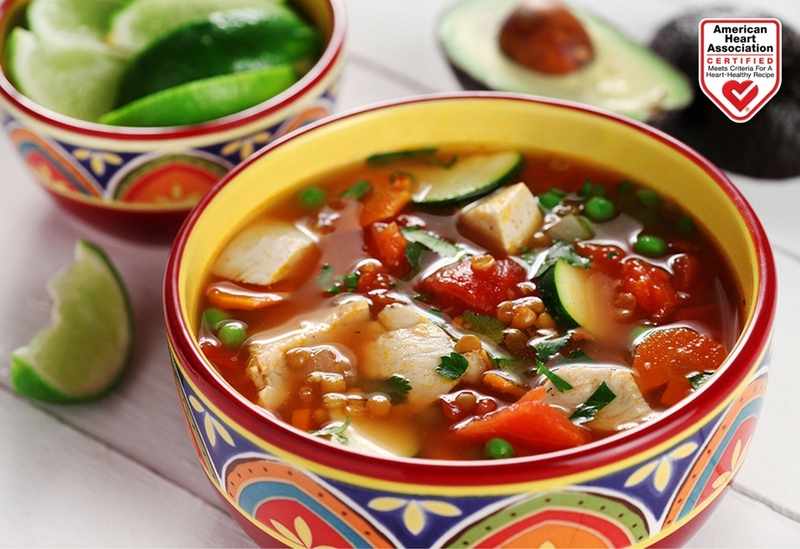 It’s chock full of flavor and chicken with crunchy tortillas – perfect for a weeknight meal.